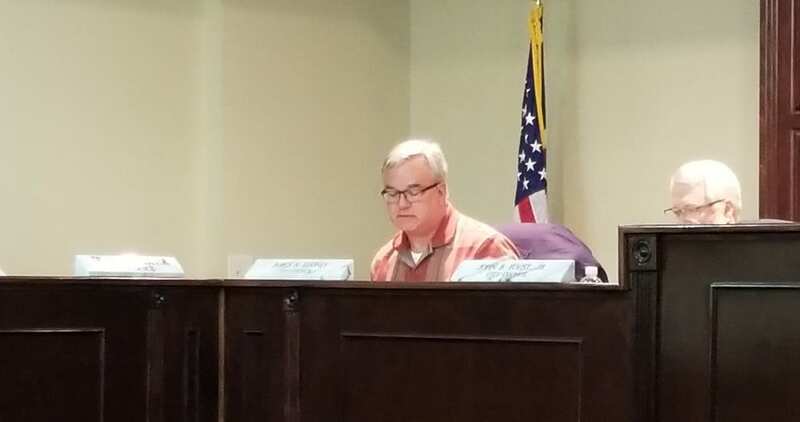 JASPER, Ga. – Jasper City Council Member Jim Looney resigned during the Jasper City Council Meeting Monday, Feb. 5. Resigning so that he may take the interim position of city manager, Looney stated it was due to information advised to him that state law prohibits a councilman from holding another municipal office without resigning from his council seat. Jasper Mayor John Weaver recognized members of the public to speak at the meeting. The council was questioned about the public knowledge of the proceeding involving the transfer of the city manager position from Weaver and now to Looney. Jasper City Council Member Dr. Sonny Proctor commented saying he had asked about the situation last year and began researching the position and the separation of positions. Having spoken on the topic several times, Proctor confirmed there was closed discussion about personnel issues in executive sessions, but the votes were taken in public. In addition to this resignation and appointment to the city manager position, Looney’s move leaves a city council seat open. During their meeting, the council approved a call for election and set the qualifying fee at $35 for the position. With details still coming about the approval, Jasper will be seeing more details about the election in the coming weeks. One last comment from Proctor came before the final vote on the issue. “This is a time for us all to come together, and I know it doesn’t feel like that is what’s going on,” Proctor said. “I’m not trying to divide us. I’m trying to bring us together, in a different way I understand that. But I want us to collaborate and work together. The official vote appointing Looney as city manager came 3-1 with council member Tony Fountain being the dissenting vote.